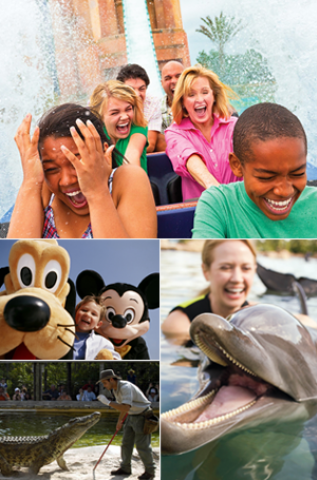 comment Orlando's top attractions in one ticket! 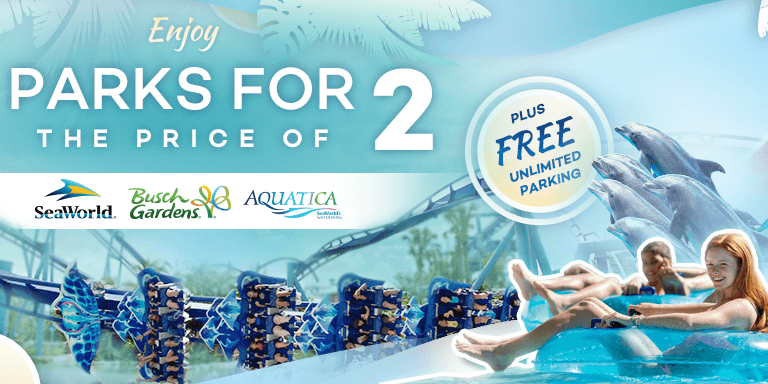 Your International Drive 3 For 2 Combo Ticket not only includes a flight on the Wheel at ICON Park™ and admission to WonderWorks but also unlimited food, wine, beer and soft drinks at the hilarious The Outta Control Comedy Magic Dinner Show. The total experience on The Wheel at ICON Park™ lasts around 30 minutes. 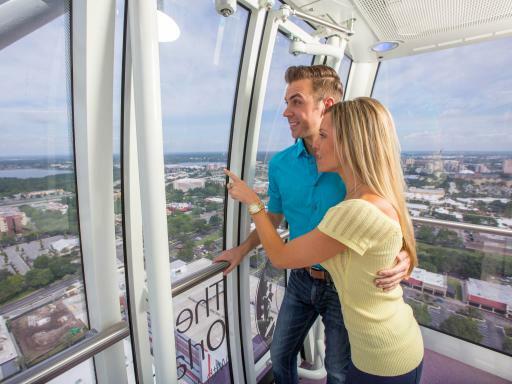 All our tickets to The Wheel at ICON Park™ are fully flexible, allowing you to take a flight at any time of the day. Tickets are open-dated so you do not need to commit to a time or date to visit the ICON Park™ at the time of booking. 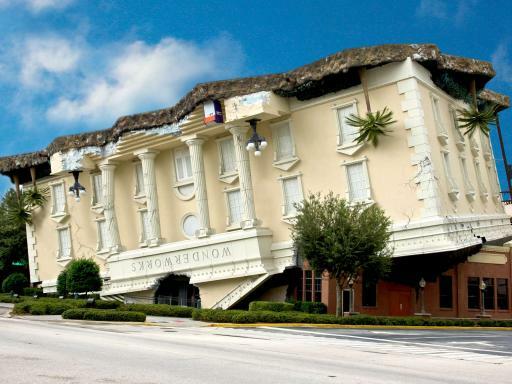 WonderWorks is an amusement park for the mind and features over 100 interactive exhibits for visitors of all ages to experience. Take part some of the most imaginative displays and exhibits found in any facility in the United States starting with the inversion tunnel to be turned upside-down! Afterwards, head to the hilarious Outta Control Magic Comedy Dinner Show. 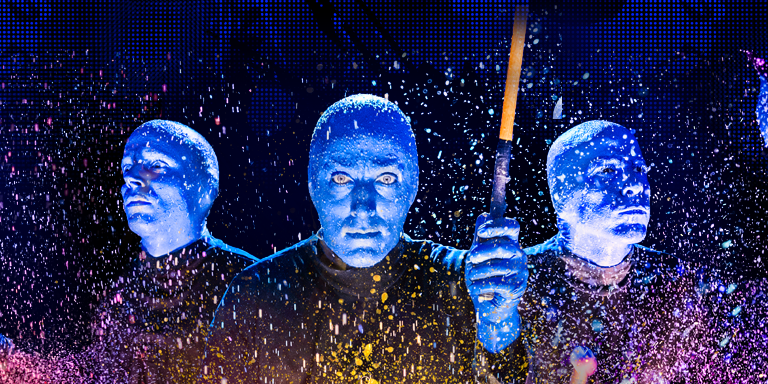 This show combines high-energy comedy improvisation, spectacular magic and lots of audience participation to thoroughly entertain audiences of all ages. Minds will be read, predictions will come true, and audience members' personal items will vanish and re-appear. Don’t miss the BEST SHOW Orlando has to offer! The Outta Control Magic Comedy Dinner Show includes table side service with unlimited fresh cheese and pepperoni pizza, salad, and unlimited beer, wine, soda and dessert. Buy all your theme park and attraction tickets before you go. You’ll save time and money – and avoid disappointment where numbers are limited. You will be sent an open-dated ticket for your flight at The Wheel at ICON Park™ that can be used at any time on your holiday. 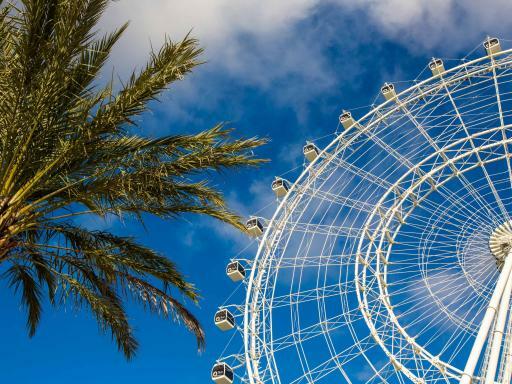 Flights on The Wheel at ICON Park™ are subject to availability and operate from 10.00am to 10.00pm during the week and 10.00am to 12.00am at weekends (times subject to change without notice). Tickets allow one flight on Wheel at ICON Park™. You do not have to visit Wonderworks the same day as you flight on The Wheel at ICON Park™. However, you must visit WonderWorks on the same day you go to the Outta Control Magic Comedy Dinner Show. Your WonderWorks ticket is not valid for any other day. Do I need to book a date in advance for my flight on The Wheel at ICON Park™? No, you will be sent an open-dated ticket. This fully flexible ticket can be used at any time on your holiday subject to availability. Where is the The Wheel at ICON Park™ Located? 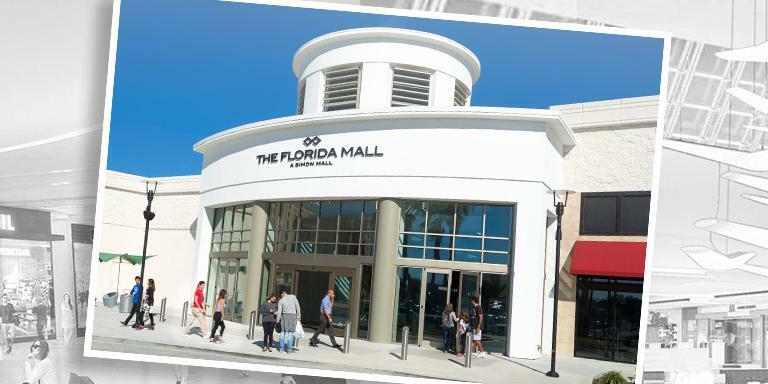 The Wheel at ICON Park™ is part of the ICON Park™ complex located at the heart of Orlando’s International Drive. Free parking is available onsite. What time does ICON Park™ close? Flights on The Wheel at ICON Park™ are available until 10.00pm on weekdays and 12.00am at weekends. There are plenty of bars and restaurants at I-Drive 3360, making ICON Park™ a great attraction to visit during the evening. How long does the Outta Control Magic Comedy Dinner show last? 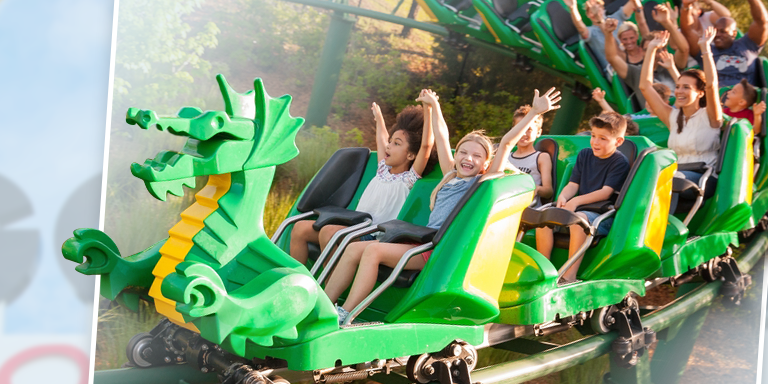 The 90-minute experience will keep you on the edge of your seat and tickle your funny bone every 8 seconds. How long does it take to visit WonderWorks? We recommend allowing at least 2-3 hours for your visit.